In Philadelphia, we redefine the experience of what a marathon should be. A beautiful, fast and scenic course, an engaging atmosphere—it’s no wonder we're consistently listed among the top ten marathons in the country, recognized for our flat terrain, mellow weather and spirited fans. Expect beautiful views through Fairmount Park and along the Schuylkill River and neighborhood crowds gathering on sidewalks in University City and Manayunk. Weave through the well-traveled streets of our historic district, passing sights familiar to Franklin, Washington and the rest of the gang, and end your race speeding towards the steps of the majestic Art Museum. Digital splits are provided at the 10K, 13.1 mile and 30K marks along the course, and fluid stations and spectator overlooks are set up throughout the course. Oh, that’s another thing: the fans. You'd better get ready for the crowds, because each year, thousands of spectators line the course eager to cheer on runners. There's nothing we love more in this town than a champion...all 30,000 of them. It's Half the Marathon, with all the triumph! In 2017 the Philadelphia Marathon Team created a new course for the Half Marathon with almost ten miles in the city. This new course takes runners through most of the same historic areas and iconic neighborhoods that Philadelphia has to offer. The new Half Marathon course is the most unique and exciting Half Marathon course in the city. Have the "Best Time Of Your Life" in 2019 completing 13.1 challenging miles that wind through Philadelphia’s most scenic and historic neighborhoods. From the history-steeped streets of Old City, through one of the liveliest stretches of Center City, across the Schuylkill, up through the bucolic trails of Fairmount Park, and back down to canvas the banks of the river. The course is also sanctioned by USA Track & Field. 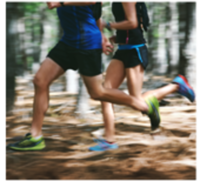 The Half Marathon was added to Race Weekend in 2006 and has seen an increase in runners every year since. 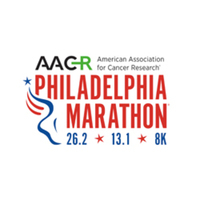 Whether as a test-run for first-time marathoners or as a challenging race along a scenic course, the Dietz & Watson Half Marathon has given thousands of runners the opportunity to take on the AACR Philadelphia Marathon on their own terms.